Interesting rosettes of plump, wedge-shaped leaves. 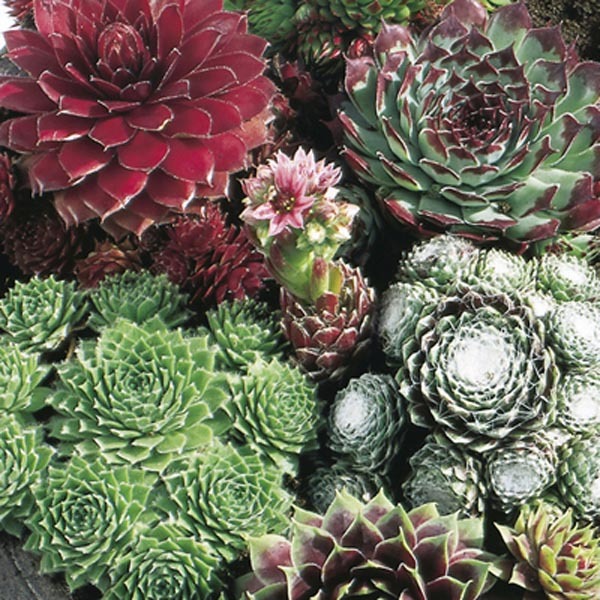 Each mother plant (hen) produces several offshoots (chicks) per year. Hairy stalks bearing reddish-purple flowers appear in summer. Reliable plants for rock gardens, alpine troughs, patio containers, and border edges. Charming when tucked into rock crevices or walls.